HomeFREEDOMVaxxed: How did they threaten Robert De Niro? 8 Comments on Vaxxed: How did they threaten Robert De Niro? With all the deceit that goes on, I think it is almost humorous that those of us who question the rhetoric are labeled “conspiracy theorists”! I always though asking questions was a sign of intelligence and curiosity, but now it has become traitorous? So sad! Finally a chance for truth to come out about a wrenching, unfair condition that affects so many children. 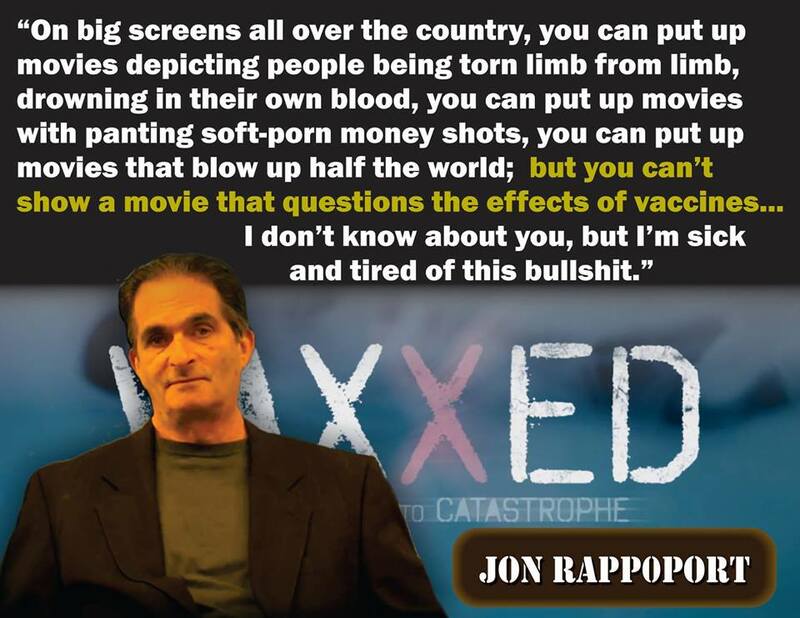 @DrWakefield Maybe we could start a #NewTribeca Film Festival at which only “VAXXED” is shown 24/7 — anywhere on the planet or online. I want to know where I can buy a DVD copy. I want to support these brave people for making this film and I will probably buy one to lend to my friends to see. is it available especially in Canada? And as you can see by all the comments. The industrial effluence “Fluoride” is working very well. Hitler would be so proud to see our open air prison. A very well-written article exposing the power of the medical industry. I hope that knowing the film is “censored” will cause more people to want to watch it than ever. It’s like living in a dictatorship – “the 4th Reich”.